Merely a few weeks ago, the world saw as #OscarsSoWhite became a trending topic on Twitter. Many re-tweeted, commented and shared their thoughts on something that has been a prevalent issue---both on and off the script. The lack of diversity made its way from the Oscars to the hearts of prolific people of color who should have been nominated. But weren’t. “It’s a white industry. Just as the NBA is a black industry. I’m not even saying it’s a bad thing. It just is,” Chris Rock said in an op-ed he wrote last year for the Hollywood Reporter. For 87 years, the Oscars have been a momentous time that celebrates filmmaking. But ever so faintly, however unintentionally, the message is hard to miss: certain voices matter than others. When an African-American actor or actress is both casted and nominated for an award, it unites all the little black boys and girls. It reminds them that they have someone to look up to or emulate. They don’t have to become a statistic or fall by the waste side because they have someone holding their hand and guiding the way. 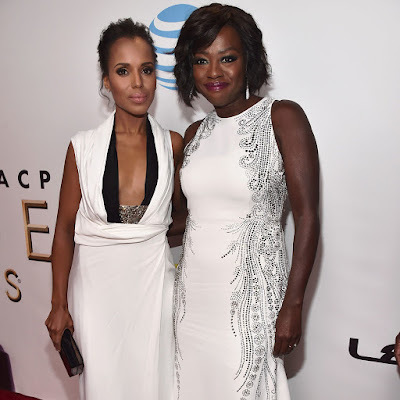 From Kerry Washington, Viola Davis, and Taraji P. Henson, celebrities gathered for the annual NAACP Image Awards. The annual event honors the accolades and achievements of people of color in films, music, books and television. On this day, the world did not have to worry about another #OscarSoWhite moment. Instead, the world got to see something that has been lacking for years during awards season. 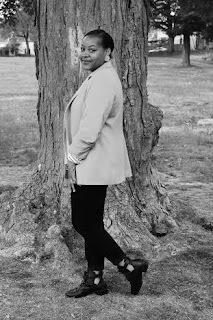 For example, the world witnessed Pharrell win for Outstanding Male Artist, “Straight Outta Compton” for Outstanding Motion Picture, Tracee Ellis Ross for Outstanding Actress in a Comedy Series and “Empire” for Outstanding Drama Series. The list of all the many great things people of color do and have done is extensive—but it shouldn’t stop at being recognized during the NAACP Image Awards. The concept of diversity encompasses so much more than what meets the surface. It means acceptance, respect and recognizing yet embracing an individual’s differences. If the world forgets to highlight people of color on the award stage (and in life), then who are the little boys and girls going to be able to look up to? Outstanding Actress in a Drama Series. What are your thoughts on #OscarsSoWhite? Let us know in the comment section below!